Looking for something with a bit of Zen? With tall birds of paradise complemented by a stunning mix of tropical flowers and greenery in a graceful container, this bouquet is it. 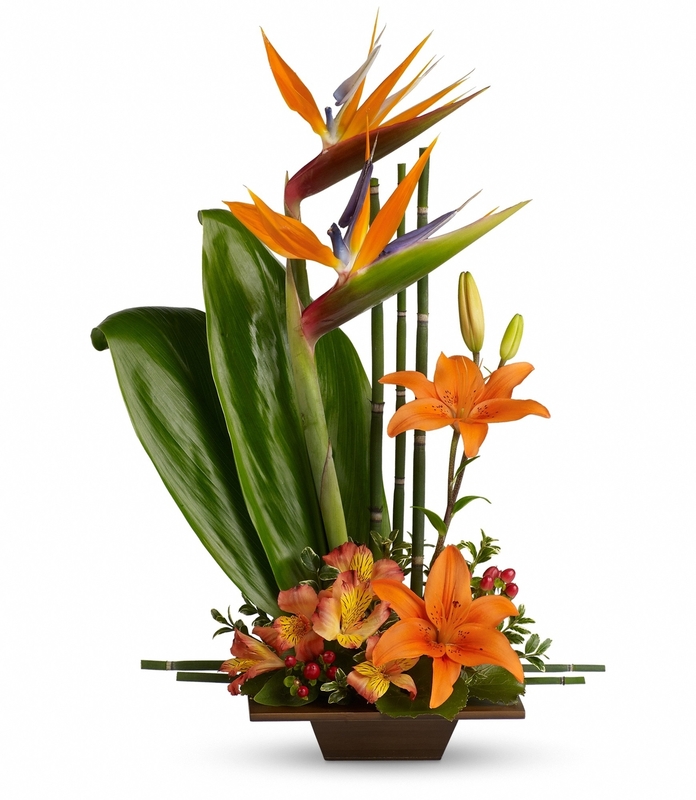 Due to the availability of some flowers, containers and plants we may substitute items to give the same feeling and look of the arrangement you have chosen.